Delicious, high quality leatherwood honey made in Tasmania. The clean and powerful design cuts effectively through competing products that are often dense with messaging and images of bees and flowers. We designed this elegant, contemporary label with simplicity and a rich colour contrast that would illustrate the product's purity and unique source. 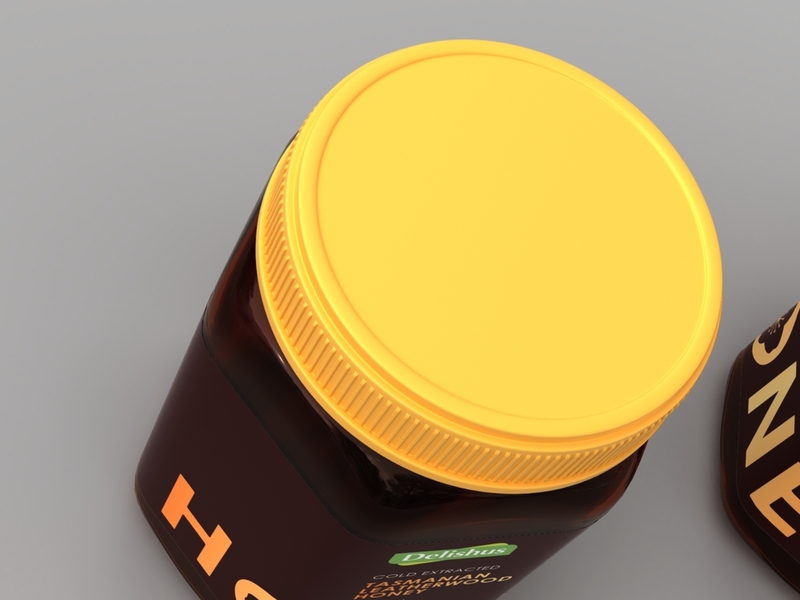 It's a unique design that echoes the luscious qualities of honey without relying on common, literal imagery. A simple representation of the unique Leatherwood flower nestles playfully within the negative space of the "O". The packaging was then modelled and rendered in Strata 3D for a photorealistic presentation.